Opaque Jet Magatama 3mm seed beads. 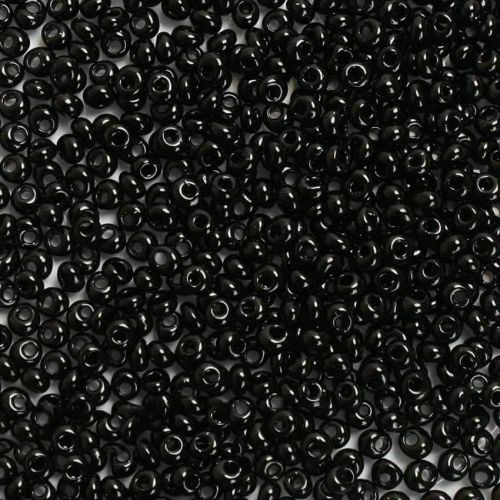 These beads come in jet black and have a hole just off centre, which gives them a slight pendant look. These Japanese made Toho beads are great for use instead of a tear drop shaped bead and for projects such as embroidery. These beads are excellent quality and known for being consistent in their size and colour. These beads are sold in 10g bags containing approx 320 beads.